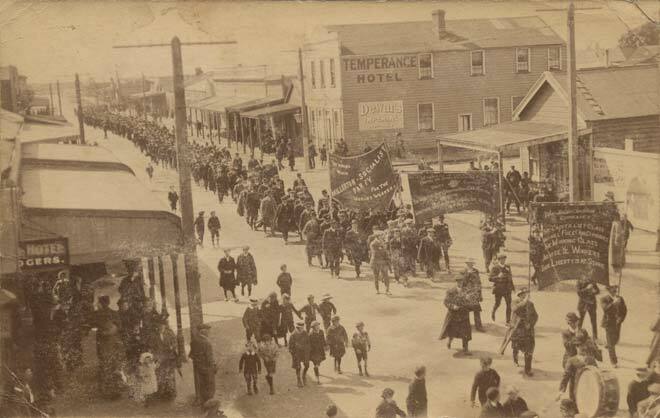 Members of the Millerton Socialist Party join others in marching down Waihī’s main street in support of the miners’ strike in 1912. It was one of the first times that New Zealand workers used marches to generate public support for a particular grievance. Until then pickets and rallies had been their main protest methods.